Ioannis Kisssonergis was born and lived his whole life inside the Venetian walls; the streets, the houses and the everyday life of the people featured significantly in his oeuvre. 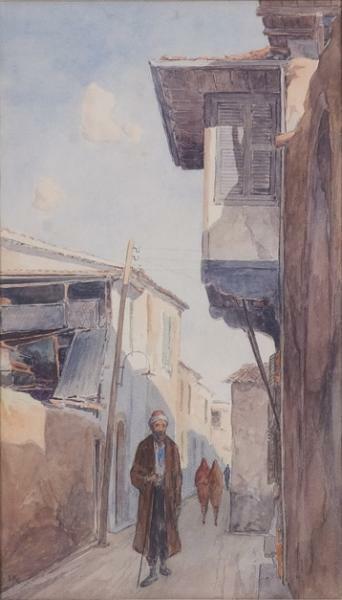 His watercolours and oil paintings are invaluable testimonies of life in Nicosia during the first half of the 20th century, when Greek and Turkish Cypriots lived together in peace. In this piece, the sensitive use of light enhances the elegance of colour and the sophisticated painterly lines, marked by subtle tonal gradations.